Single-Use Dispensers. 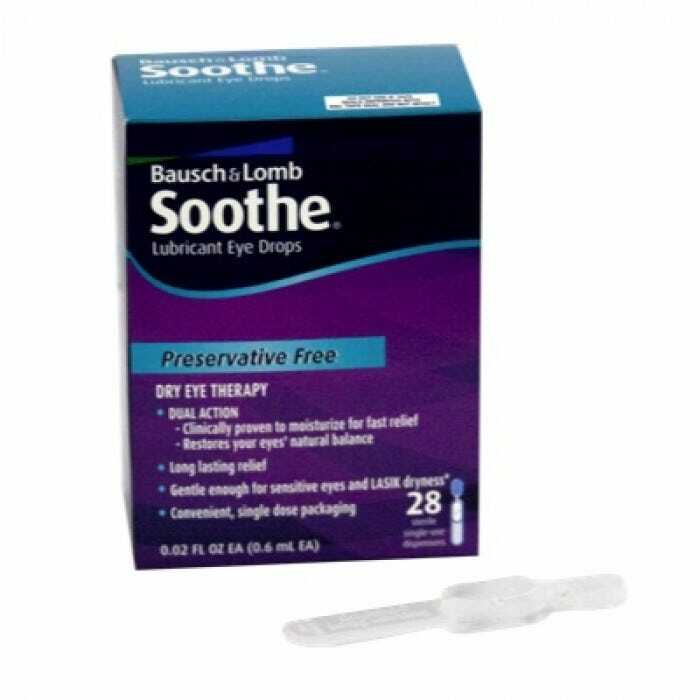 Bausch & Lomb Soothe® Lubricant Eye Drops, Preservative-Free, Long Lasting Formula are clinically proven to soothe dry and irritated eyes. 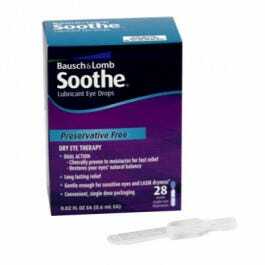 This revolutionary advance in dry eye therapy reinforces the damaged mucin layer, providing soothing comfort, and lasting relief to help keep your eyes feeling fresh throughout the day. Restores the natural moisture balance in your eyes, providing effective, long lasting dry eye relief. do not touch the tip of container to any surface to avoid contamination.